Silicon is all the rage right now and different silicon product manufacturers are racing to produce commercial products that contain more and more biologically active silicon. The idea is mainly that potassium silicate - the most commonly used form of silicon in hydroponics - has some problems maintaining high bioavailability at the pH levels used in hydroponics and therefore more stable silicon sources are needed to meet plant needs. However we need to ask ourselves if this is actually true and whether it is actually worth it to go to much more expensive Si sources when supplementing plants with silicon products. Today I want to talk about the Si research up until now and what it tells us about silicon and stabilized silicon products. Without a doubt there are some proven benefits to using silicon supplementation. As explained within this recent literature review from 2015 about silicon's role in plants the benefits from silicon application include increased photosynthesis, resistance to abiotic stress as well as increased resistance to several fungal pathogens. It is also clear that foliar application of Silicon does not lead to large increases in tissue concentration and root applications tend to yield the biggest benefits. The above image shows some of the benefits of high (1mM) and low Si (0.1mM) treatments under different conditions for hydroponically grown Zucchini plants. The review also mentions the exploration of stabilized silicon forms and the current lack of scientific evidence regarding their efficacy when compared with traditional non-stabilized forms of silicon. So if silicon from potassium silicate can show benefits why may we need a better form of silicon? The problem with silicates is that under low pH values the silicate ion gets protonated and converted into silicic acid but silicic acid is unstable and will tend to polymerize and form molecules with limited bioavailability under these conditions. If we use a form of silicon that does not suffer from this problem then we might be able to get some additional benefits. 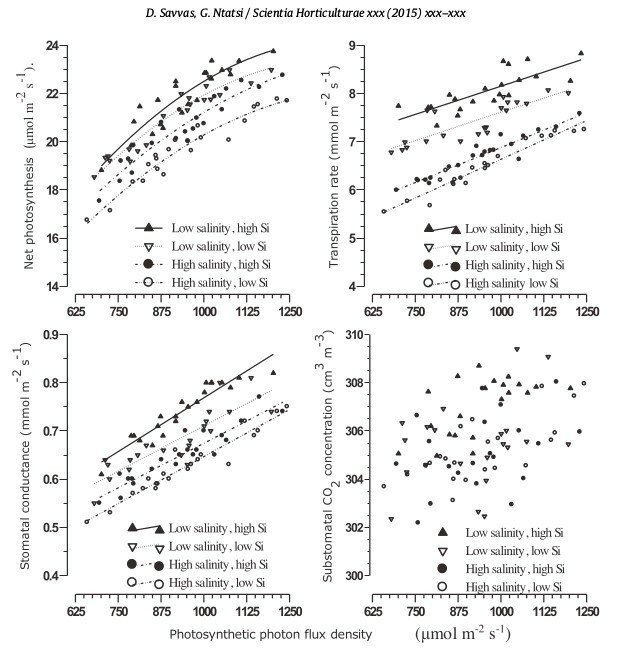 There are indeed a few studies in lettuce and tomatoes showing that choline stabilize orthosilicic acid (ch-OSA) can indeed improve plant responses under Mn stress and even a study about the use of ch-OSA improving seedling growth but these results lack controls against potassium silicate so we don't know if the response would simply be equal than that of a traditional silicate application. 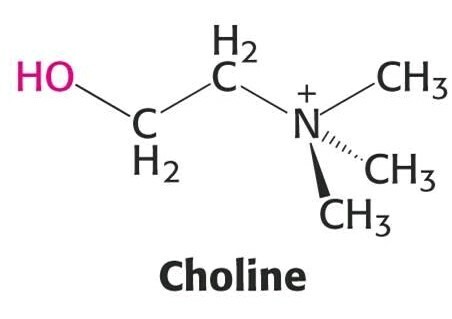 Below you can see a graphical representation of a choline molecule's structure, choline is basically a beta aminoacid that is able to stabilize silicic acid by binding to its oxygen atoms through the positive trimethyl amine group, inhibiting polymerization. We know however that not all forms of stabilized silicon sources would work well. For example there is a study involving alkyl silicic acids (another form to stabilize silicon) that shows that the application of these compounds produces even worse results than controls with no silicon supplementation. Plants do not seem to deal well with this type of stabilized compounds, where the silicon is stabilized by the introduction of simple alkyl groups. Some of these forms of silicon - dimethyl silicic acid - were even highly toxic to plants at low concentrations. Up until this point there is basically no scientific evidence that shows how stabilized silicon sources like ch-OSA may provide a benefit over using a simpler and cheaper source of silicon like potassium silicate in higher plants. If potassium silicate is dissolved at the appropriate concentration and in an adequate manner then there is no doubt that it can provide significant benefits at a fraction of the cost. Companies producing ch-OSA and similar silicon stabilized sources generally say that they contain "more bioavailable silicon" and while it may be true that they may allow for the larger abundance of some silicon species in solution, what they should show is an increase in benefits when compared with a potassium silicate control since this is in the end what interests most hydroponic growers. While this evidence is lacking it is certainly not worth it to pay the extra cost, given that benefits using potassium silicate have been proven while benefits using ch-OSA haven't been proven to be greater than those obtained with these cheaper Si sources. Very informative article. Nice research and very well presented... Cheers!